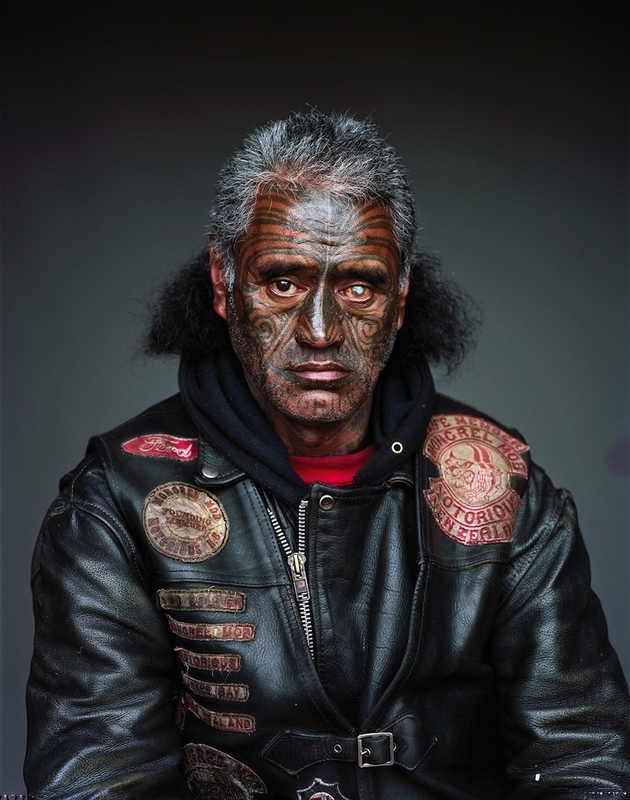 Recently Vice published a photo series taken of men from the Mighty Mongrel Gang in New Zealand. Fascinating isn’t a strong enough word to describe these men. I’m going to remove all moral assessments of who these men are and what they’ve done. It’s very easy for me to sit here, on my porch in the suburbs, typing on a Macbook, to say that these are bad men. In all honesty, I think I immediately go there because they intimidate me. Hell, they terrify me. I can’t imagine being face-to-face with one of these men. So it’s easy for me to write them off as bad. What I can’t do is say they’re not good at being men. When it comes to the amoral virtues of Brett McKay’s Provide, Protect, and Procreate along with Jack Donovan’s Strength, Courage, Mastery, and Honor, these mobsters are most likely excellent at being men. With that as our base, and understanding that this is a style blog, I want to talk about their appearance. This doesn’t happen when a man doesn’t care about how is appearance influences people around him. There is meaning and intentionality in the colors, materials, styles and cuts they choose to wear. All of these are reflective of the men and what they want to advertise to the world around them. Their tattoos are an excellent way of demonstrating loyalty to their tribe while removing themselves completely from the rest of society. These men are so committed to their way of life that they have permanently altered their appearances in a way that makes them completely incapable of escaping the tribe from which they originate. That same loyalty is indicative in their clothing. Notice the fascist aesthetic and the nazi symbolism? These are not men who are concerned about whether or not the rest of the world believes them to be nice, tolerant, or non-judgmental. They don’t need us to like them. They don’t care what we think. We are not part of their tribe and they want us to be afraid of them. And it doesn’t stop with just the men. They understand that a tribe’s ability to continue to remain relevant depends on its growth. Growth stems from ritual, and much of the way we dress ourselves each day is related to ritual. An office worker goes through the ritual of putting on a suit and tie each day. A member of the Mongrel Mob has his ceremonial and ritualized clothing. They pass these rituals and this aesthetic identity along to their women and children to ensure that the tribal identity is congruent for all members and that its values are upheld by the following generation. Is their clothing what makes them men or makes their tribe? Absolutely not. But they would look entirely different and therefore communicate something entirely different were these portraits taken in bespoke suits.